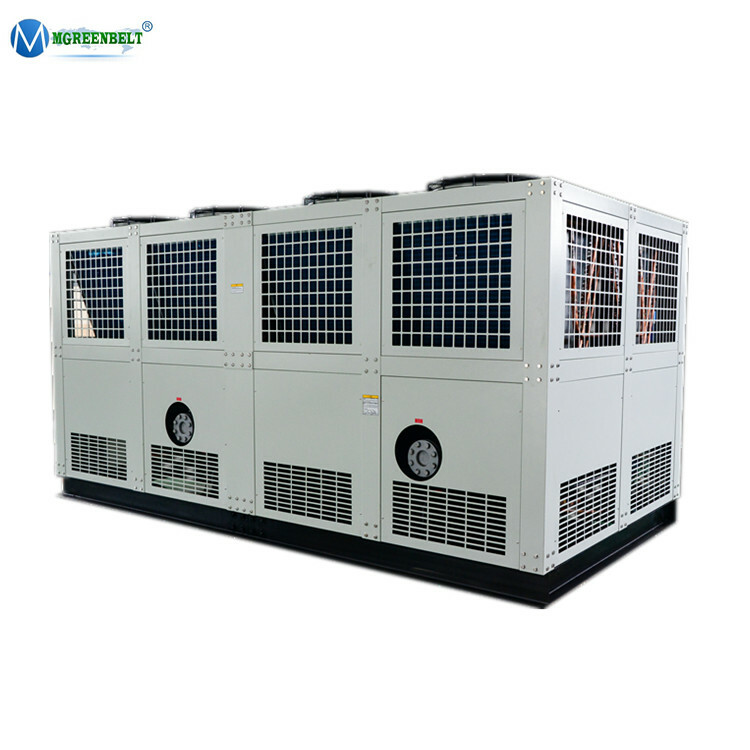 This model uses the world's first -line brand compressors ,PLC programmable controller ( human-machine interface ), high-effciency energy-saving profile oxidation special evaporator ,and the world's first-line brand electronic expansion valve that can be automatically and accurately adjusted according to the load , in the past 19 years , our company has continuously improved its manufacturing processes, accumulated rich production experience ,equipped with advanced and complete inspection and inspection equipment ,and continuously strengthened its management system , which has made Xinzhou products truly stable,long-lived , and energy-efficient . 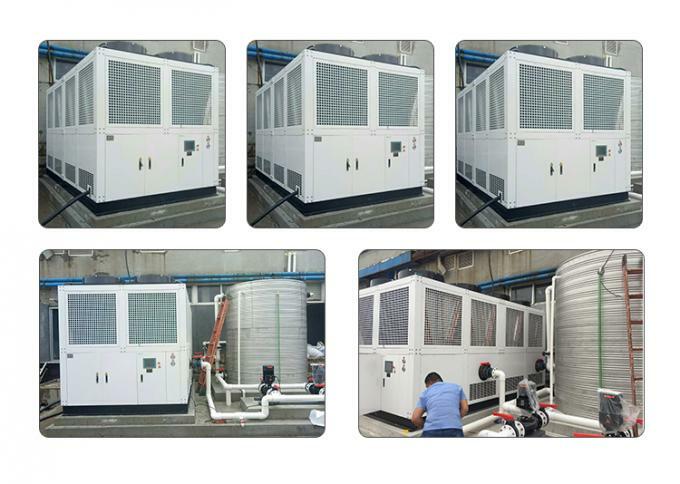 Low, safe operation ,simple and so on . 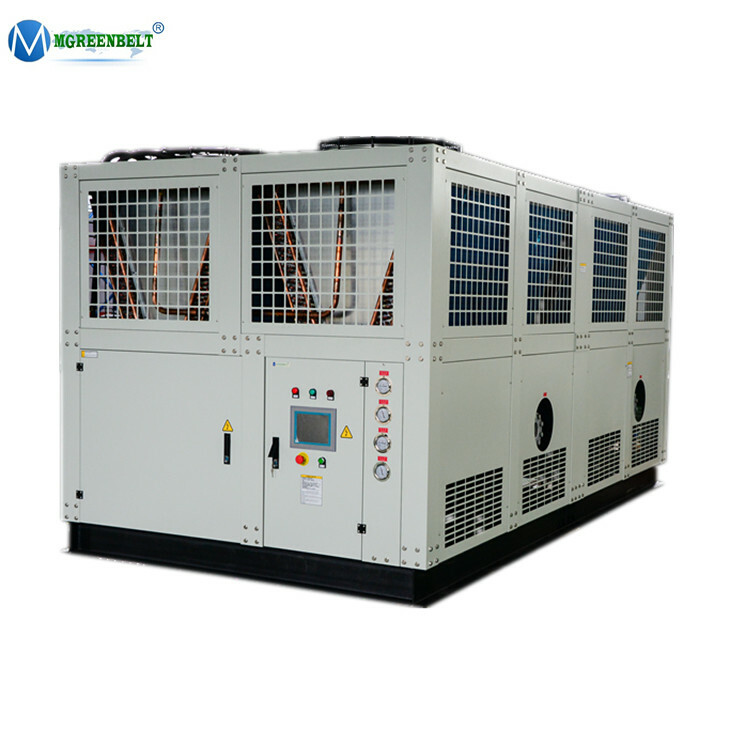 New screw type compressor with 20%-30% higher in efficiency. 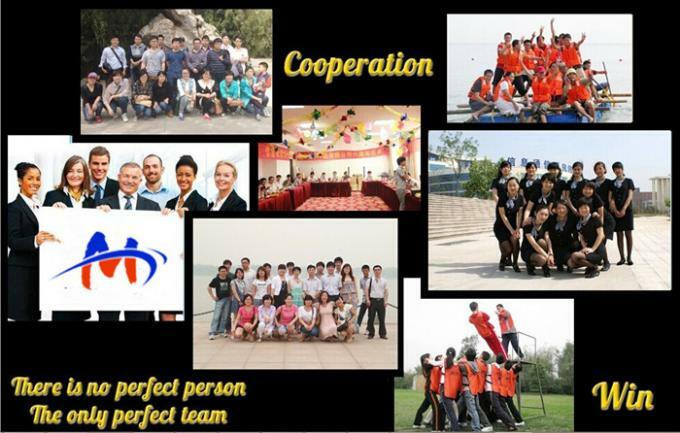 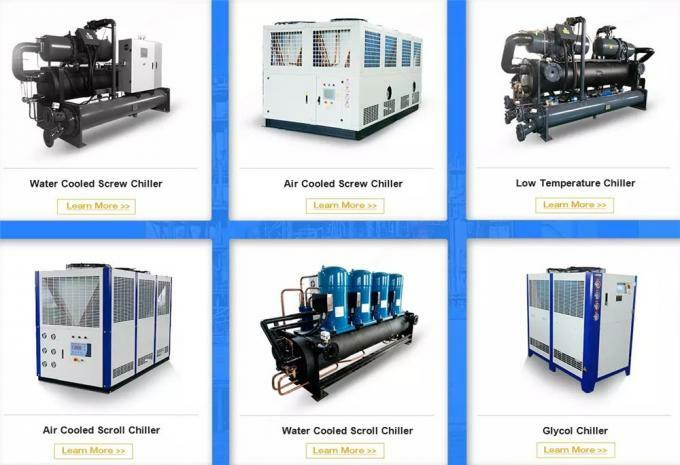 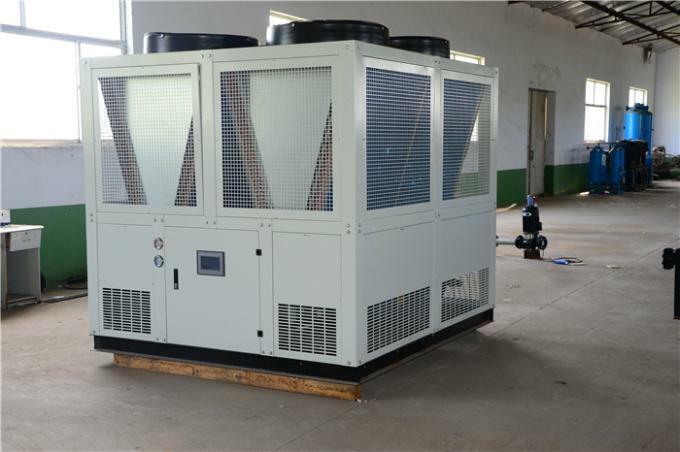 Cooling capacity control available at four steps (100%-75%-50%-25%), three steps (100%-66%-33%) or no steps control system. 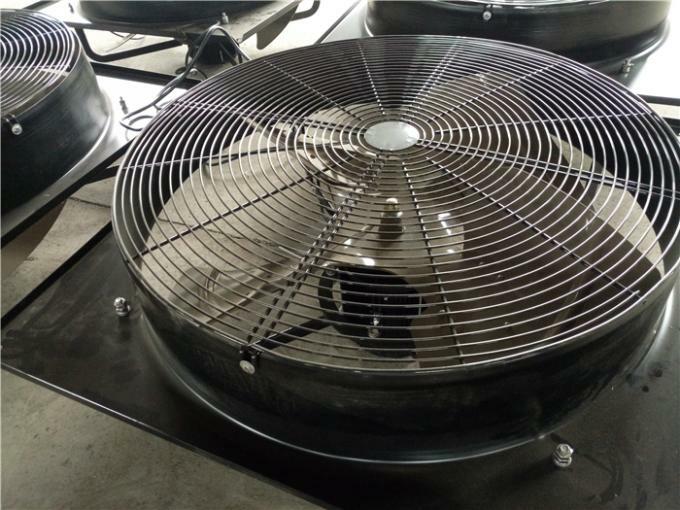 High efficiency, low noise and vibration, easy to install. 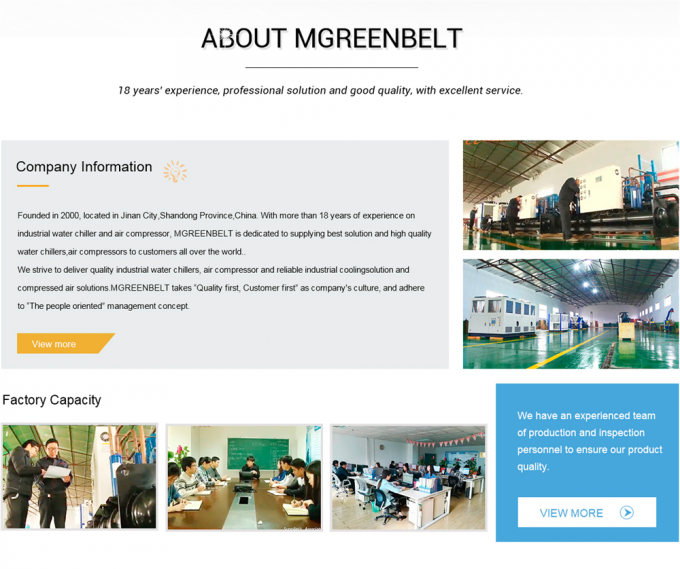 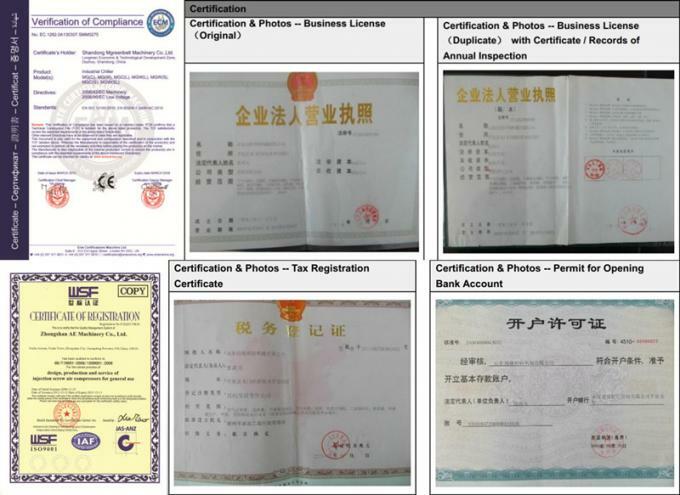 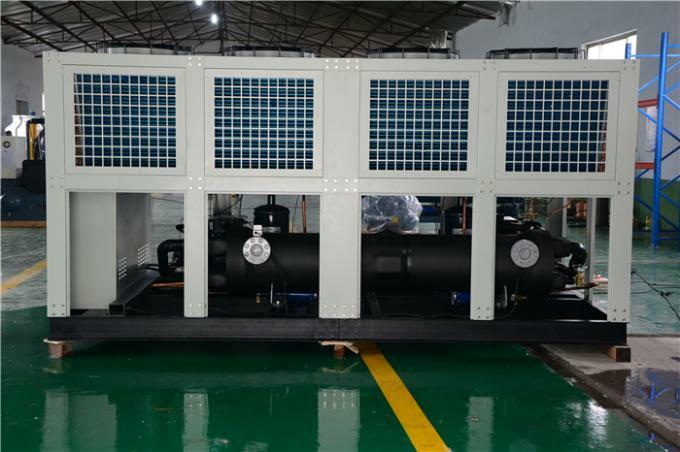 Environmental protection refrigerant R134a, R407c, R404a available. 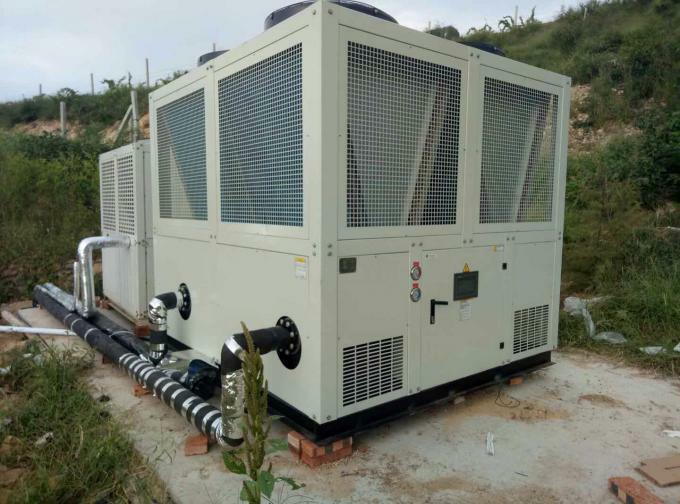 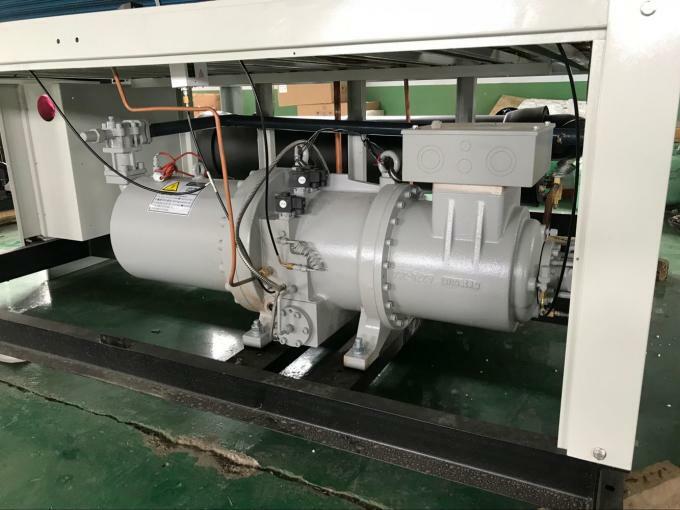 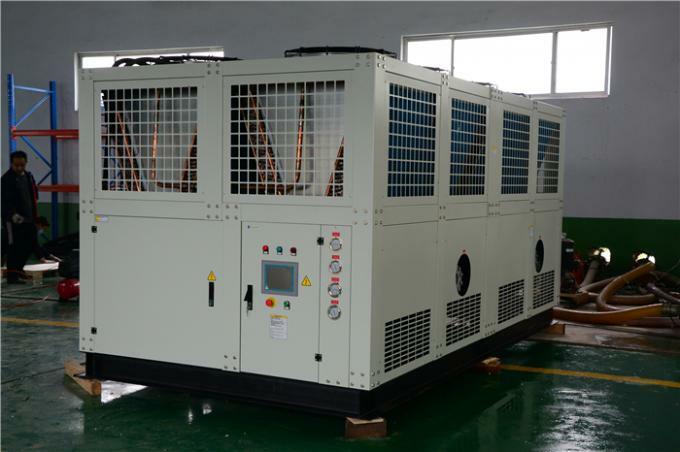 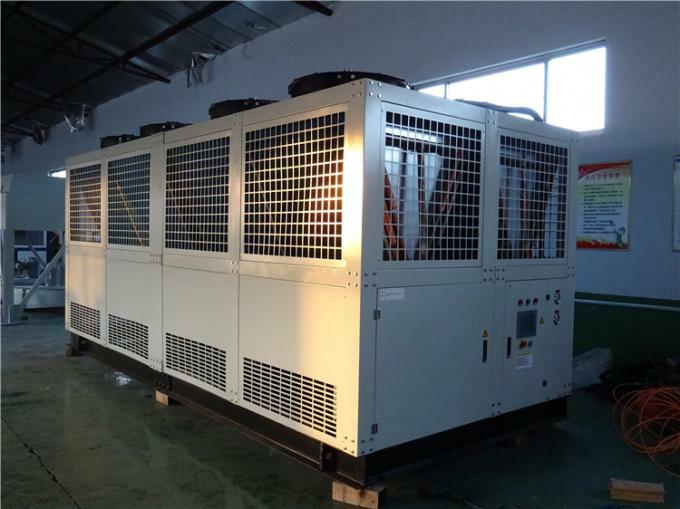 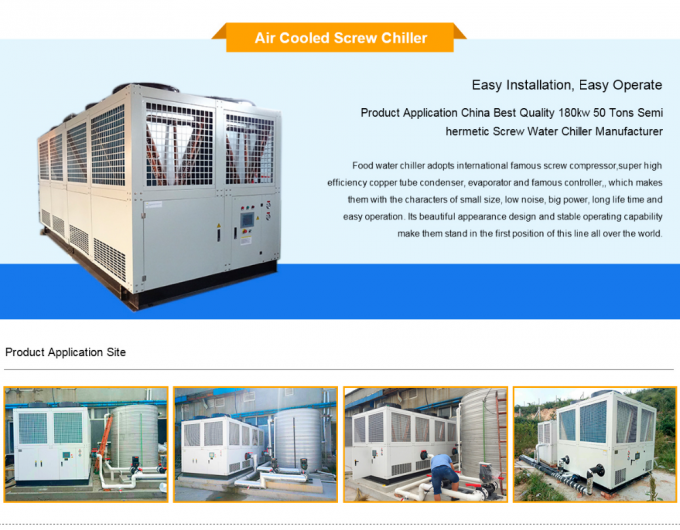 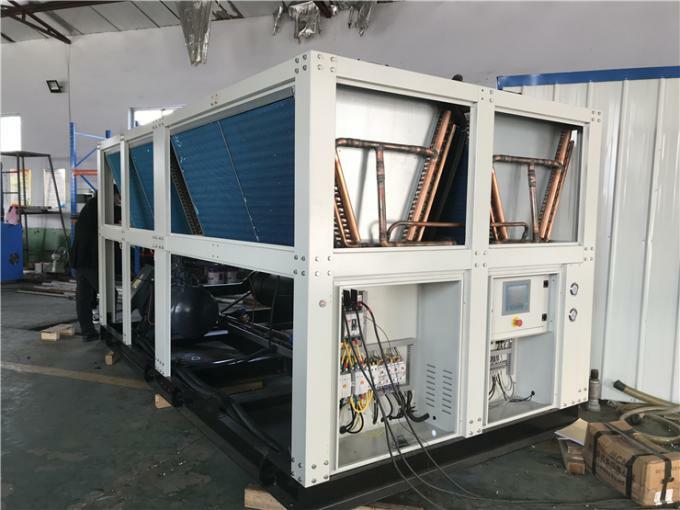 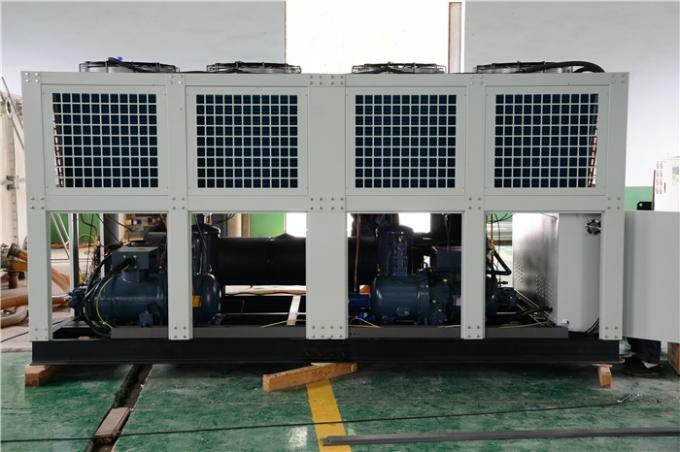 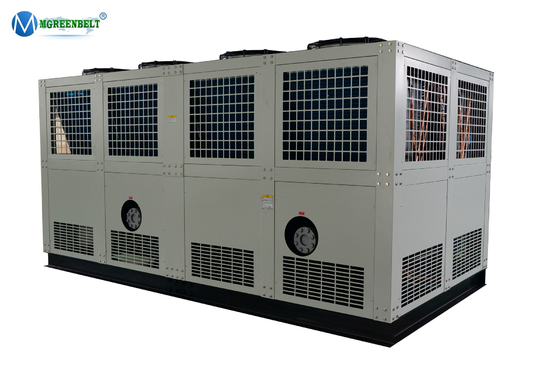 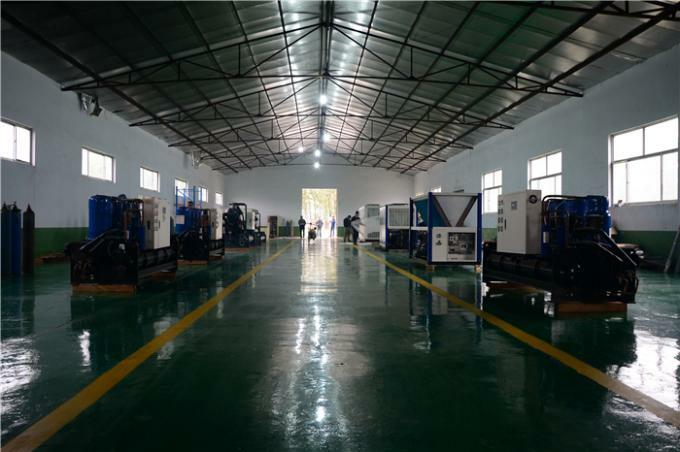 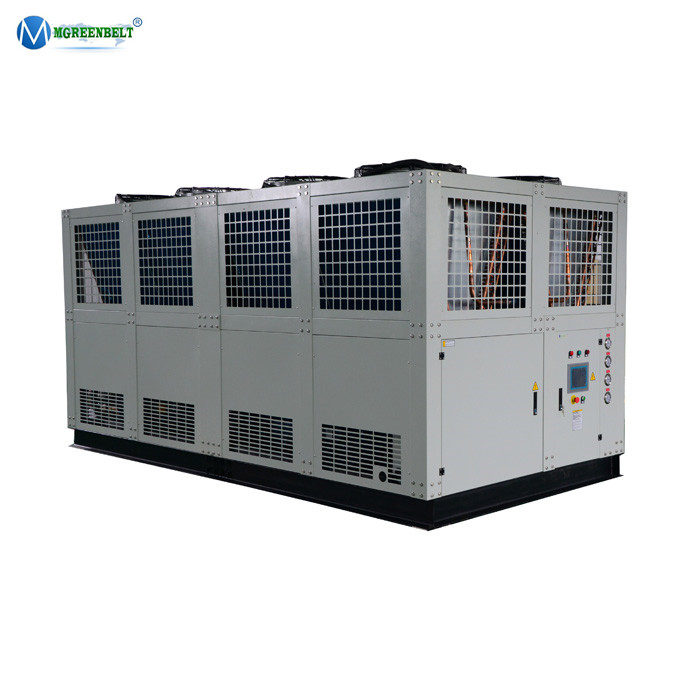 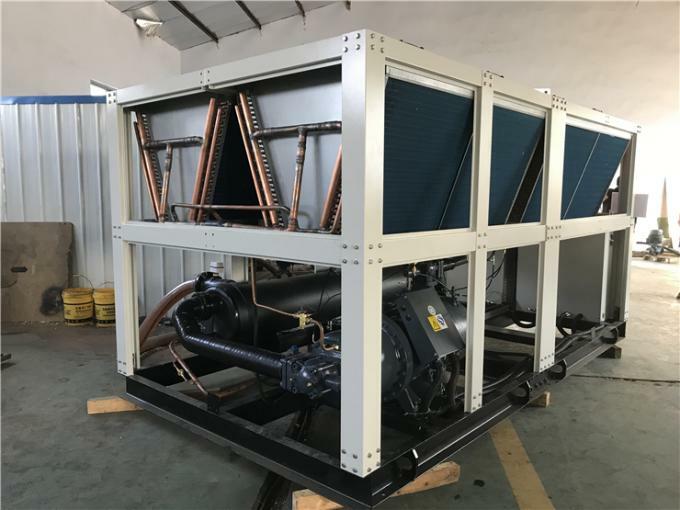 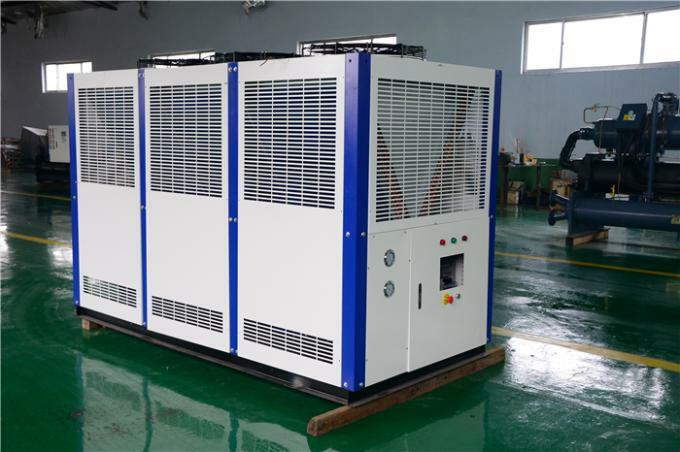 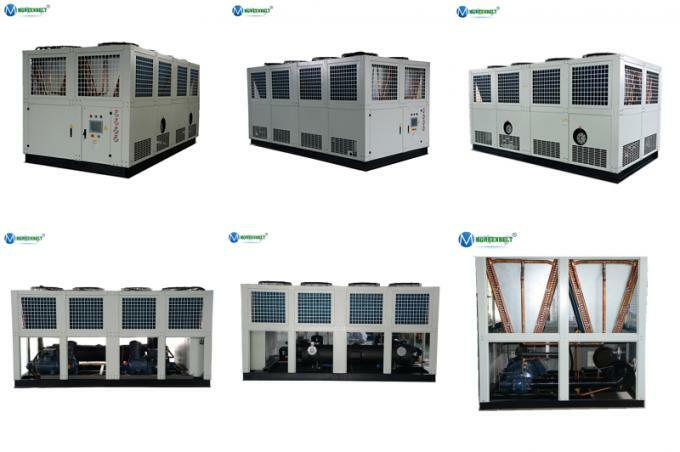 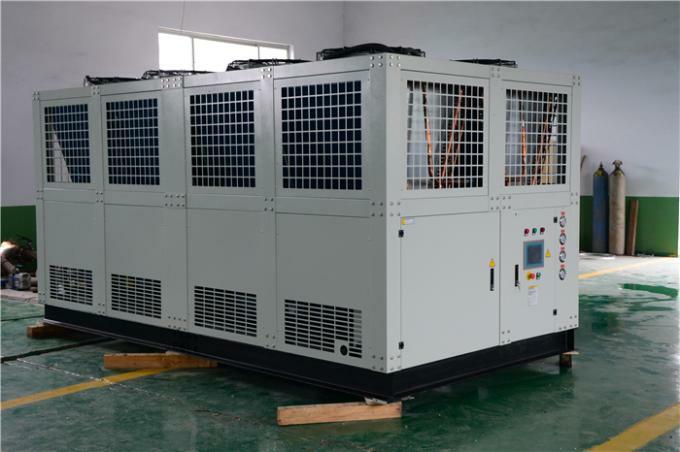 Two sets screw compressor for one air cooled screw chiller, each can work independently , to save energy and safety production. 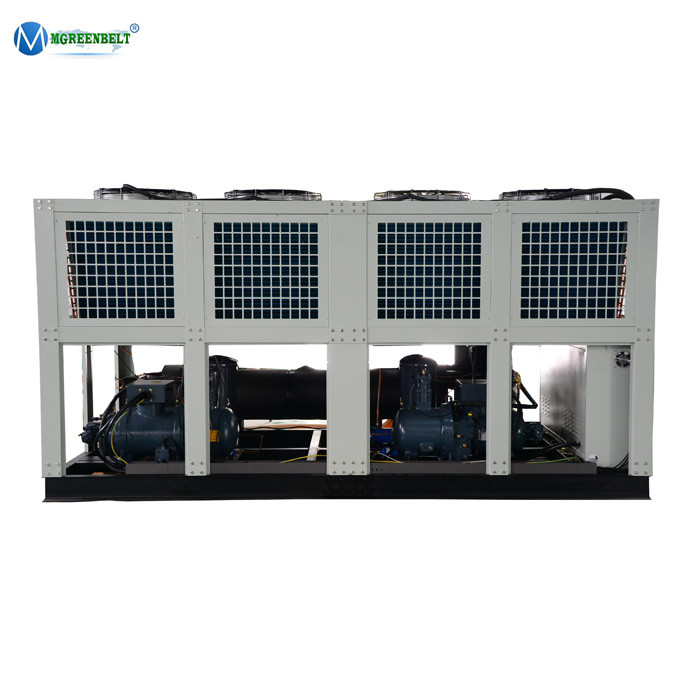 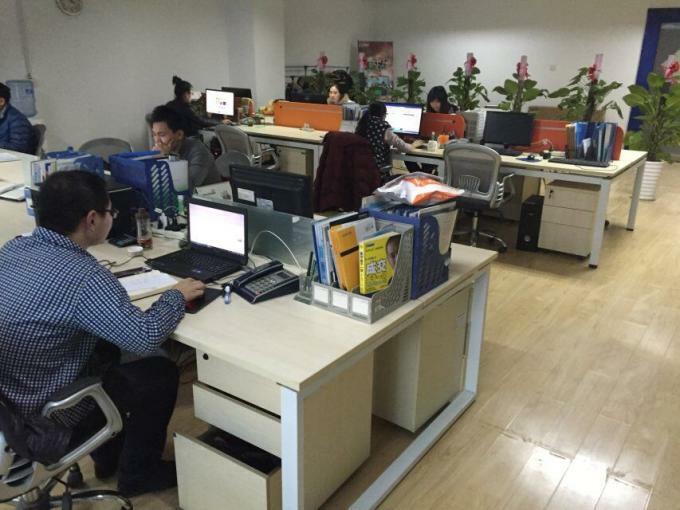 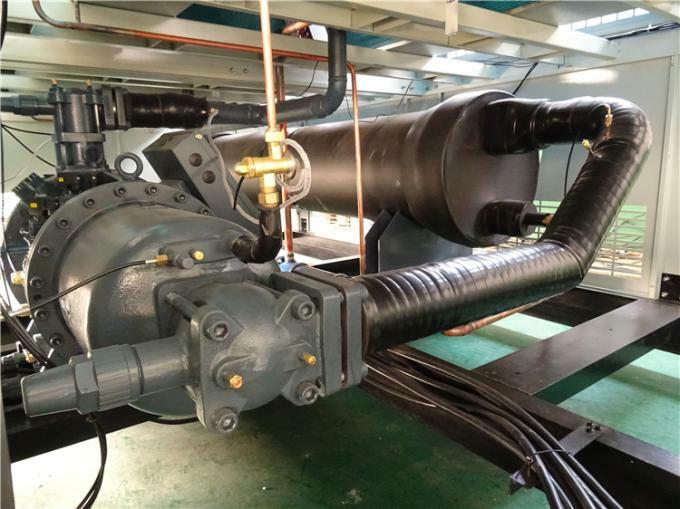 Adopt oil separator , to ensure compressor oil has good lubrication on the low outlet temperature -10C. 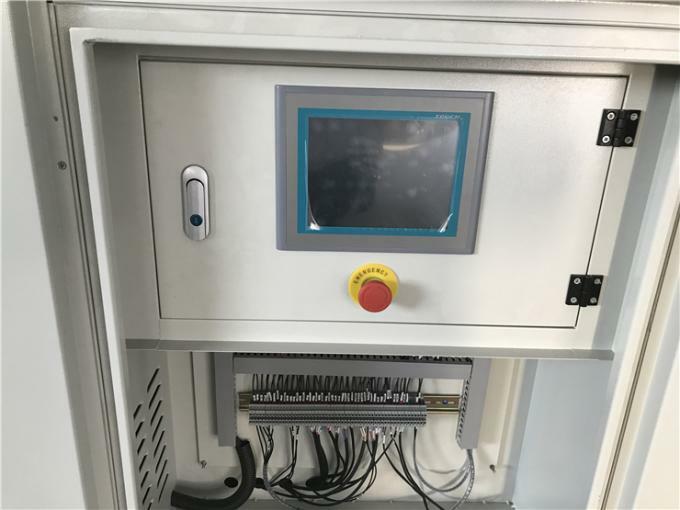 SIEMENS PLC program control system, human-computer interface with big LED touch panel, running state displaying in multi-language, and self-diagnosis for easy operation and supervision. 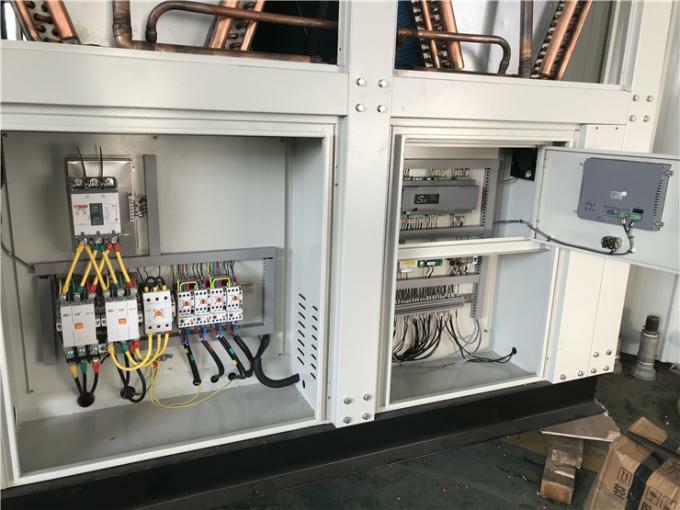 Extended industrial interface, convenient for being computer monitor via network. 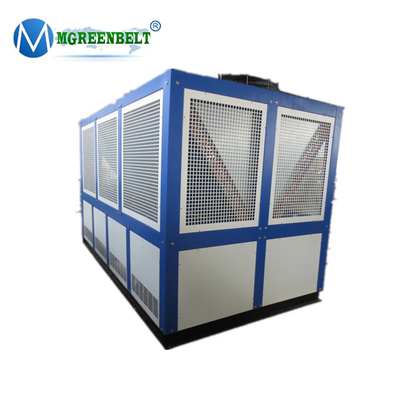 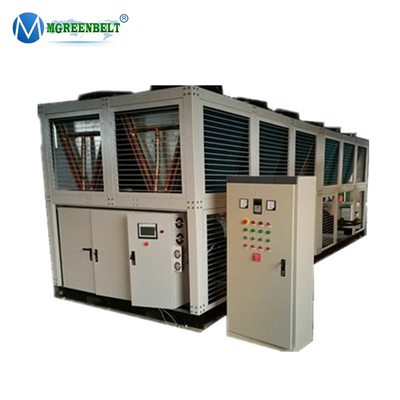 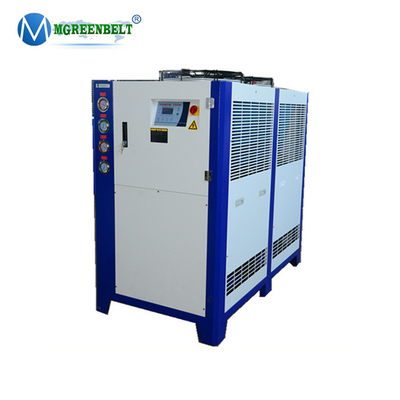 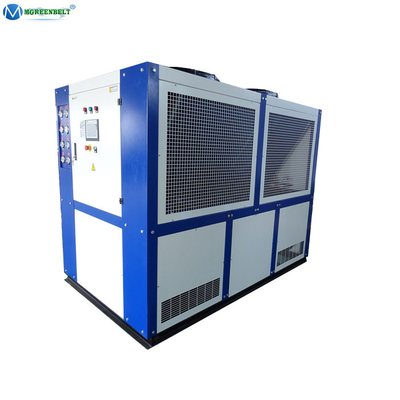 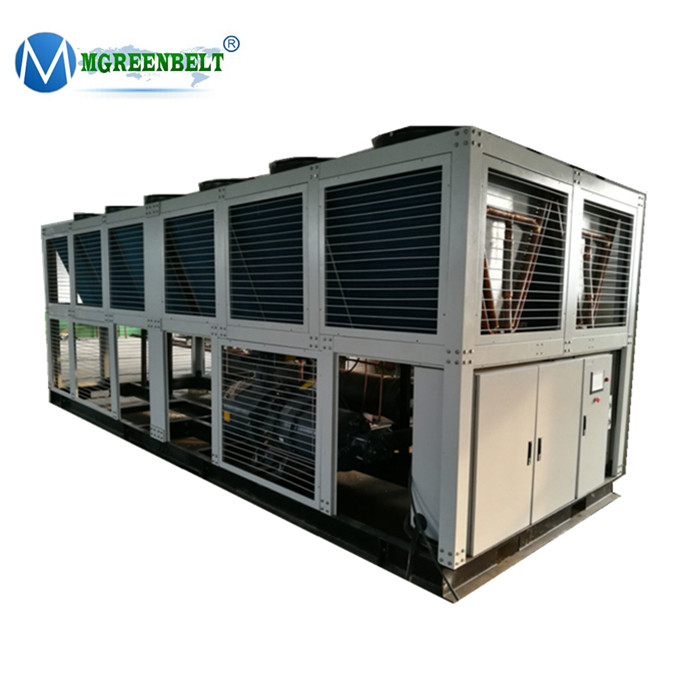 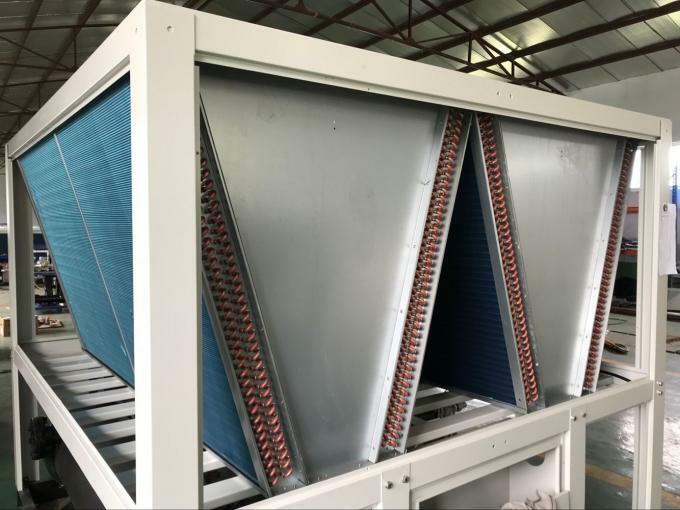 Multi-safety protection by high and low pressure, compressor overheating, overloading, over temperature, flow switch, phase sequence, phase-missing, exhaust overheating and anti-freezing.